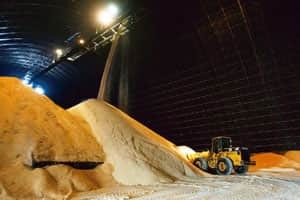 New Delhi: A move by sugar mills in Maharashtra, India’s biggest producer, to import at least 1 million tonnes (mt) of raw sugar to tide over domestic demand has sharply divided the industry. Bloomberg had on Thursday reported that mills in Maharashtra have sought government permission to buy raw sugar from countries including Brazil. The purchases, if allowed, will be the nation’s first in almost three years. “Sisma (South Indian Sugar Mills Association) is of the opinion that import of neither raw sugar nor white sugar be encouraged at this juncture as this will assist traders for short-term gains and will negatively impact the industry," said Rajshree Pathy, chairman of Rajshree Sugars and Chemicals Ltd and president of Sisma. The imports, she said, “will jeopardize the interests of farmers". The country’s sugar output is likely to fall short of the expected 22.5mt by nearly 2-2.5mt in the current sugar season that started in October and ends in September. Any import of sugar will immediately depress the prices forcing mills into losses, she said. The country has seen two consecutive bumper crops in the past two years—28mt in 2006-07 and 26.5mt in 2007-08. With sugar production expected to be 20.5mt in 2008-09, there will be a shortfall of at least 6mt. But several mill owners say there is no need to go in for imports as an opening stock of 9mt will be more than enough to meet the shortfall. The government, however, estimates the opening stock much higher at 10.5-11mt. But other mill owners disagree. “With the acreage of sugar cane falling by 35-40%, the country will need to import raw sugar to meet its consumption requirements," Narendra Murkumbi, managing director, Shree Renuka Sugars Ltd, said. “Besides, it is better to import raw sugar now and sell value-added sugar in the domestic market rather than importing white sugar later." Raw sugar has to be refined, while white sugar is ready for consumption. Murkumbi also said that sugar should be imported only on the so-called tonne-to-tonne basis, against grain-to-grain, which requires producers to re-export raw sugar after processing. Prakash Naiknavare, managing director of the Maharashtra State Cooperative Sugar Factories Federation Ltd, which has in its fold 190 sugar mills in Maharashtra, agrees. “India needs to change rules to enable mills to process raw sugar bought overseas and sell the refined product domestically. The companies must export a matching quantity when they have a surplus within a time frame set by the government," he said, suggesting a tonne-to-tonne re-export of sugar. The government last allowed tonne-to-tonne import of sugar in 2004. Imported raw sugar fetches extra business for sugar companies having large refining capacities. Murkumbi admits his company’s refining capacity this year has been 60% of what it was last year. According to S.L. Jain, general secretary, Indian Sugar Mills Association, or Isma: ‘There is absolutely no need for importing raw sugar in 2008-09. Only some companies with trader mentality are perpetuating the idea that there can be a shortfall. Imported sugar will only flood the market and depress prices". Ram Babu, former Isma president, said millers who cannot proceed with their capacity expansion plans are clamouring for import of raw sugar. “In Brazil, several sugar mills are shutting down because of the downturn and Indian millers see good opportunities to buy sugar from Brazil," he said. Brazil’s sugar production is expected to rise by 10-12% in calendar 2008, necessitating exports. S. Raghuraman, head of trade research at Agriwatch, a commodity research firm, said the government will not succumb to lobbying by sugar companies. “It is very unlikely that the production will cross 20mt in the country. However, with the carry-over stock, we are still very comfortable and I doubt if the government will allow a tonne-to-tonne import of raw sugar." “Export is also ruled out this season because Indian sugar is over-priced internationally, which further suggests import will not be required," he said. The government official in charge of sugar at the Union food ministry couldn’t be immediately reached for comment.